Wonder what’s the fuss with fat content? Intrigued by Jersey vs. Holstein? Can’t find free-range? There’s a lot more to your pint of cow’s milk than meets the eye. 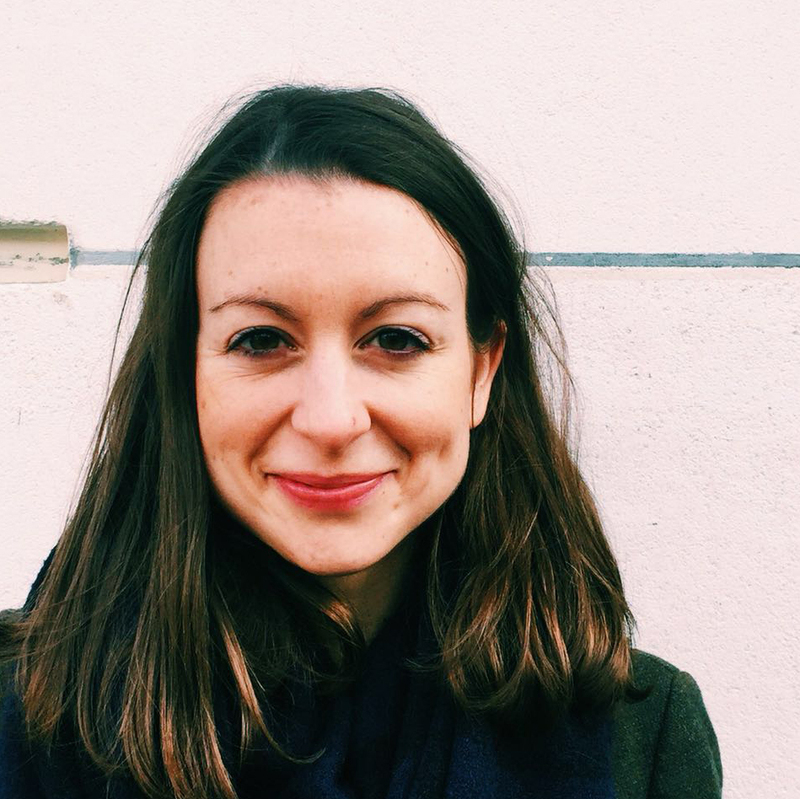 Malou Herkes filters through the nonsense to surface what you need to know. Cow’s milk has long been a staple part of our diet. But despite the amount we drink it, we know surprisingly little about what it is and where it comes from. 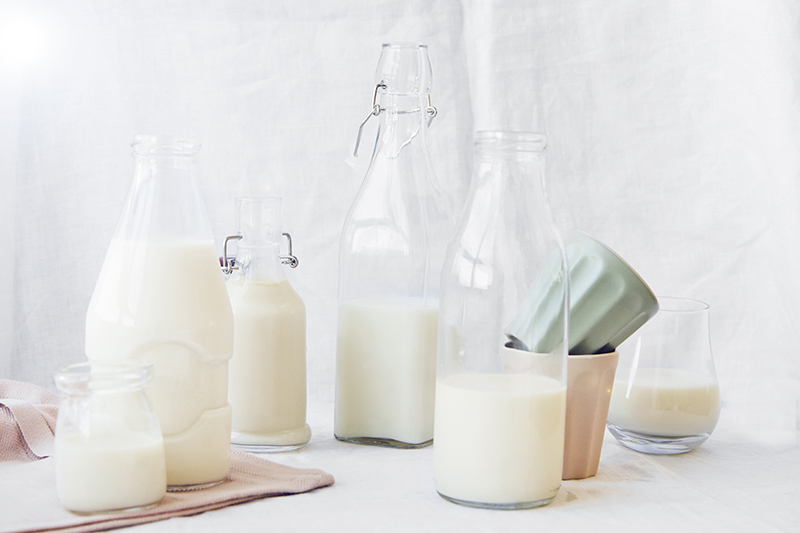 What’s the difference between homogenised and pasteurised cow’s milk? How do you make it semi-skimmed? What’s the fuss about drinking it raw? And how can you tell when it’s free-range, pasture-fed or organic? Let’s start easy. Whether cow’s milk is whole, semi-skimmed or skimmed, this is all about the fat content. 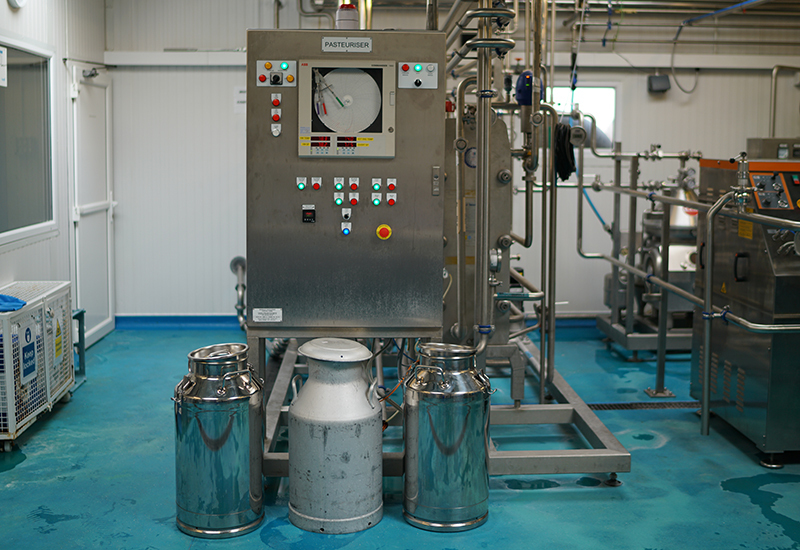 Milk is put through a centrifugal separator to separate and remove the naturally present fat globules. The fat is then re-blended into the liquid at differing levels (or not, as is the case with skimmed milk). Whole milk typically contains 3.5-4.5% fat, semi-skimmed contains 2.5% fat, skimmed contains 0.1% fat. In recent decades, campaigns to reduce saturated fat in our diets led to the promotion of low-fat milks, and the introduction of 1% milk. New studies have shown that the saturated fat in milk is not as harmful as previously thought. The standardised cow’s milk that you find in supermarkets or most cornershops is most likely homogenised. When you homogenise milk you force it through small holes so that the fat molecules break down and stay suspended in the liquid, preventing the cream from rising to the top. The pasteuriser at Berkeley Farm Dairy, producers of organic Guernsey cow’s milk. Pasteurising milk is the process of heating milk, then quickly cooling it to kill off harmful bacteria. 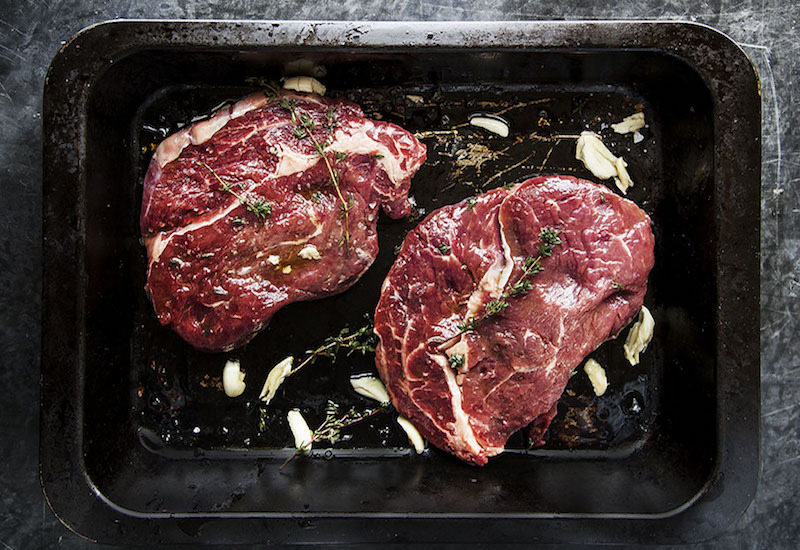 Pasteurisation was introduced in the UK during the First World War to help lengthen shelf-life, and is now a safety requirement to reduce the risk of food poisoning. 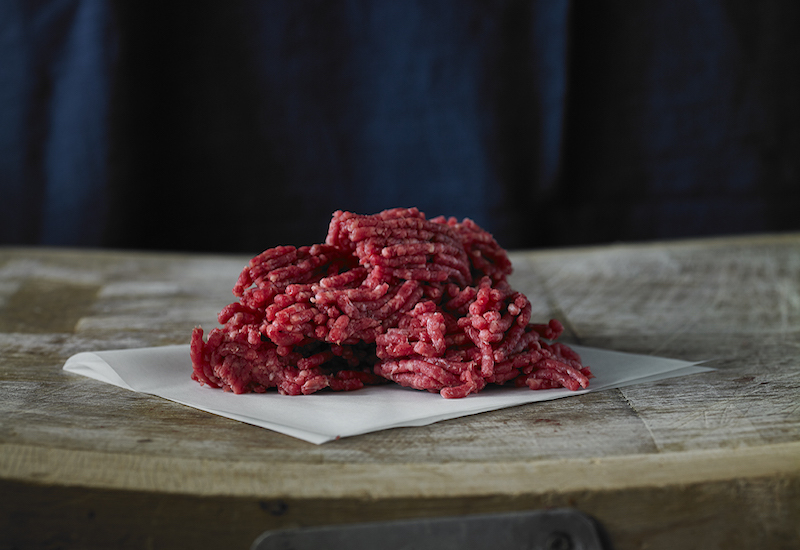 Ever since its introduction, debate has raged around the best pasteurisation method and how it impacts nutritional value, taste and overall quality, from the optimum temperature to the duration of heating. Typically, cow’s milk is pasteurised by heating it to 72ºC for 15 seconds or to 63ºC for 30 minutes. Ultra-Heat Treatment (UHT) milk has been pasteurised to such a high temperature that all potentially harmful bacteria is killed. 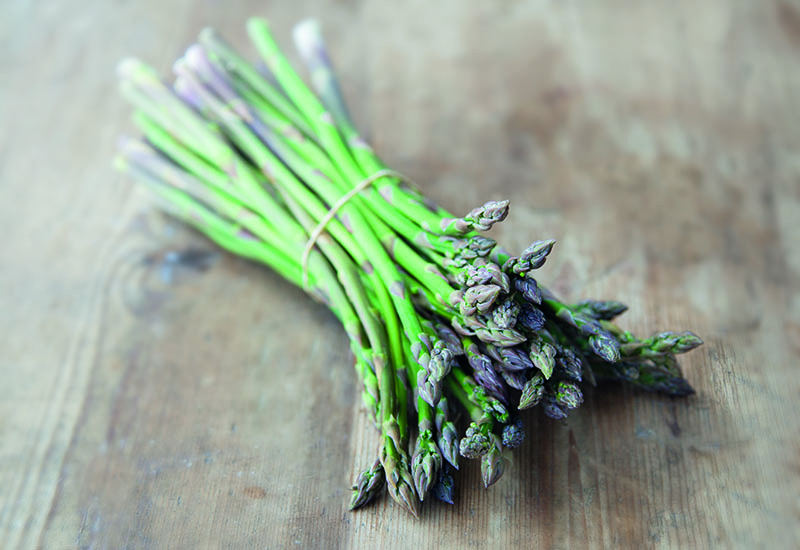 This way it can be stored at room temperature for around nine months, but nutrients are lost in the process. 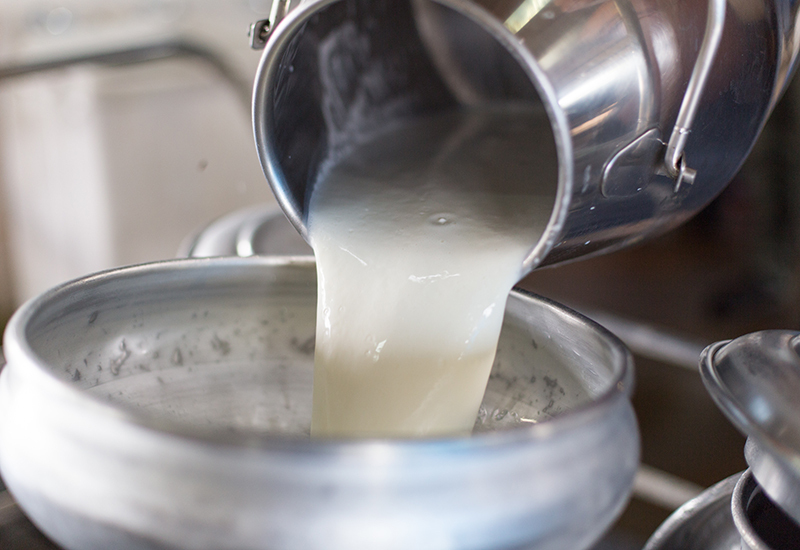 Raw milk is milk that has not been pasteurised, homogenised or altered in any way. This type pf milk has grown in popularity in recent years, with people swearing by its superior taste and the ease with which you can digest it (see for yourself with Hook & Son’s raw cow’s milk at Borough Market). Still, raw milk represents only a very small fraction – about 0.01% – of total milk consumption in the UK. 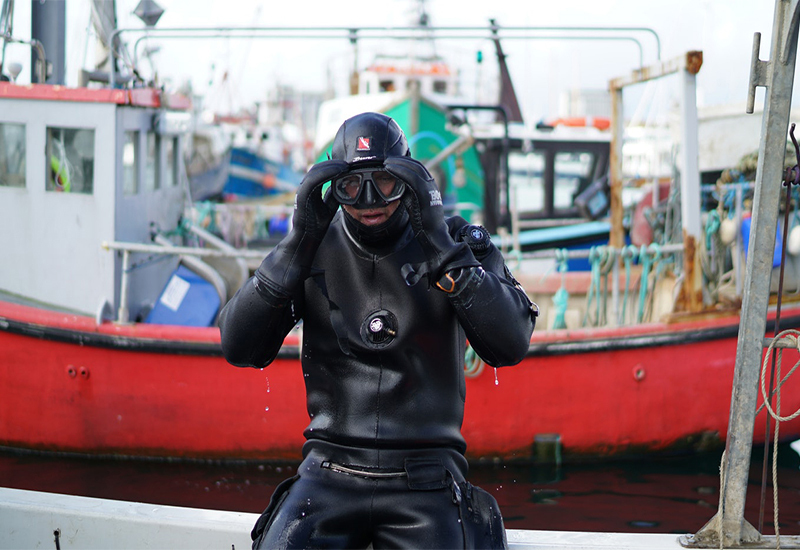 This is likely down to worries that it contains harmful bacteria and can cause food poisoning. The sale of raw milk is banned in Scotland. 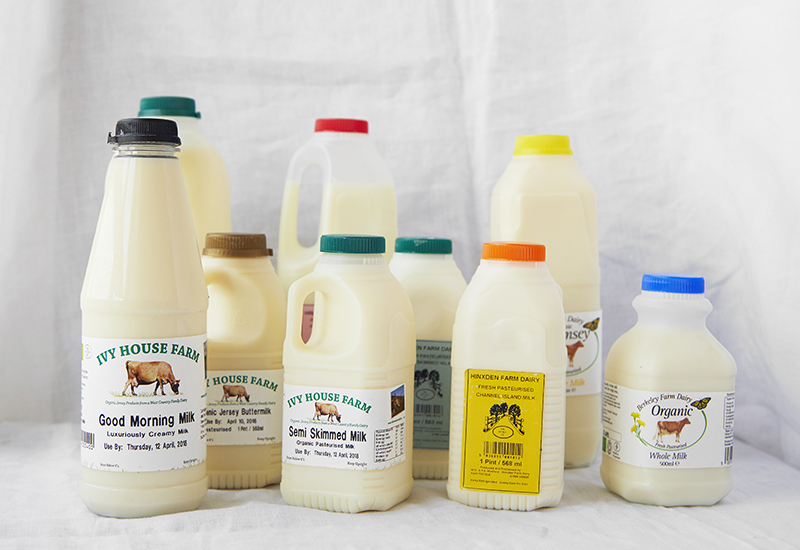 Elsewhere in the UK, raw milk can only be sold directly from the farmer and not via any third party. 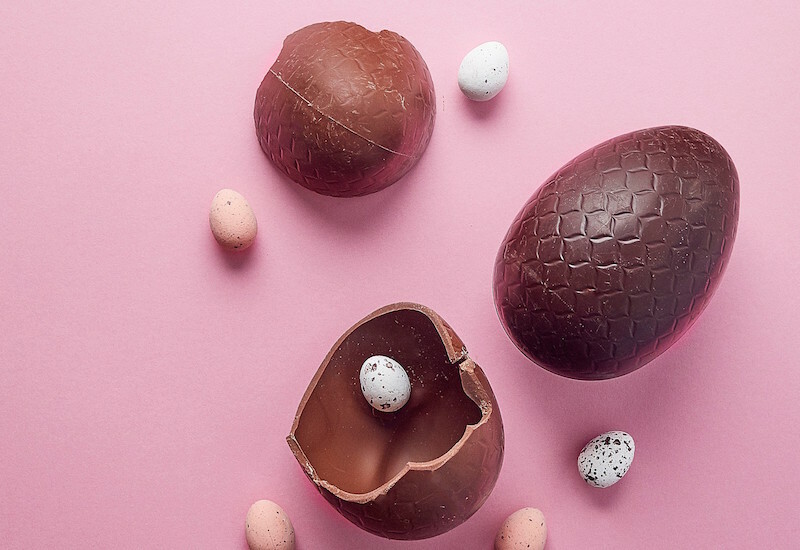 Farmdrop aren’t legally allowed to sell it for this very reason! And what about the cows themselves? This is all about what the cow eats. The diet of a grass-fed cow must contain a minimum of 50% grass and foraged greens. That means they’re able to graze in fields and eat the diversity of grasses and legumes that grow there. Grass-fed can also be hay or silage (basically, conserved grass) which cows tend to eat during the winter months when they’re inside. The remaining 40% of their diet may compose of cereals, like oats and barley, maize or soya. The diet of a pasture-fed cow must be 100% made up of grass and foraged greens, which means they’re not allowed any cereal whatsoever. Jersey cows graze the pasture at Ivy House Dairy. Their diet is predominantly pasture. What the cow eats can have a huge impact on the taste and quality of their milk. Ivy House Farm Dairy feed their cows an 88% forage-silage diet in the winter (grass and red clover that has been stored and conserved for the winter months). From March to November, their cows graze on pasture. Compare this to most commercial dairy herds whose diet consists of 50% to 60% grass and foraged greens, and 40% to 50% cereal that is often imported from around the world (Brazilian soya and French rapeseed are a couple of the most common). Milk terroir you say? The milk from a herd on a small farm differs in taste according to the breed, but also according to the time of year and what the cow has grazed on. The nuances can be compared to that of a good wine. In contrast, standardised cow’s milk will be a mega-blend of many different milks from different farms, sometimes hundreds of miles apart, and processed to all taste the same. 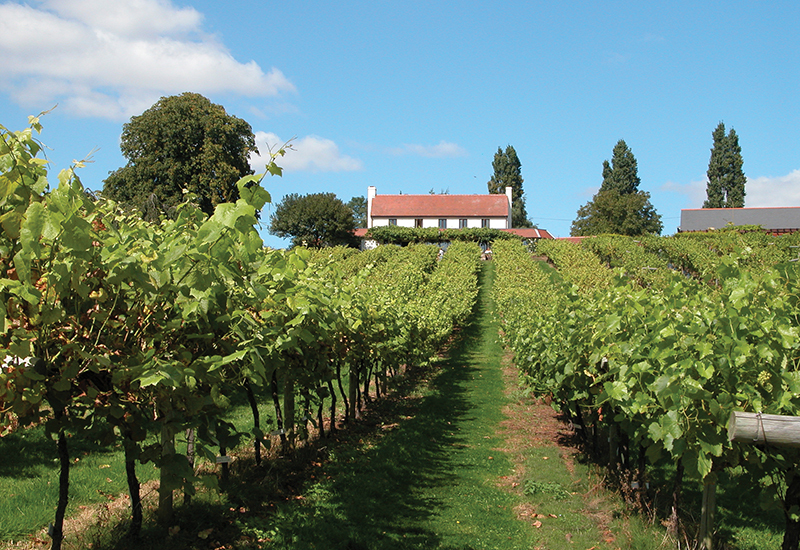 A bit like the grape blend of a large-scale wine producer. 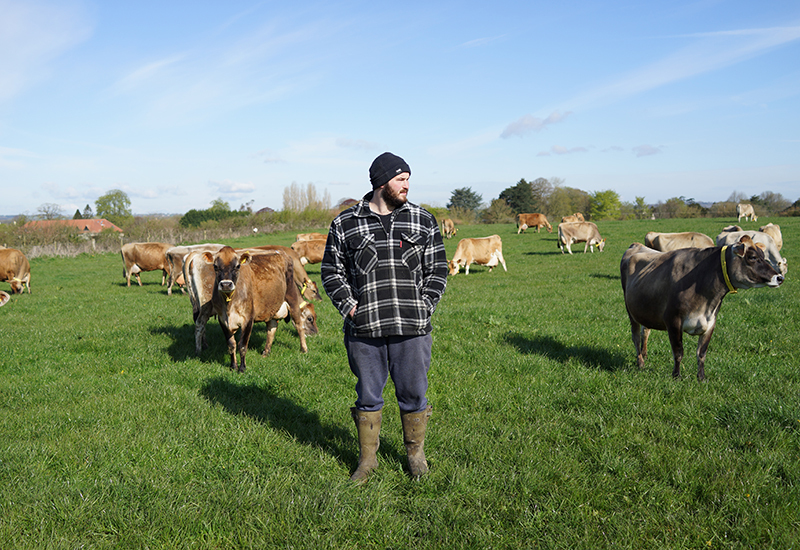 Ivy House Farm’s Darren with his herd of organic Jersey cows. His parents Geoff and Kim Bowles switched to Jersey cows in 1999 and he recently took over operation of the dairy. This is milk produced without the use of pesticides and with higher standards of animal welfare than non-organic. 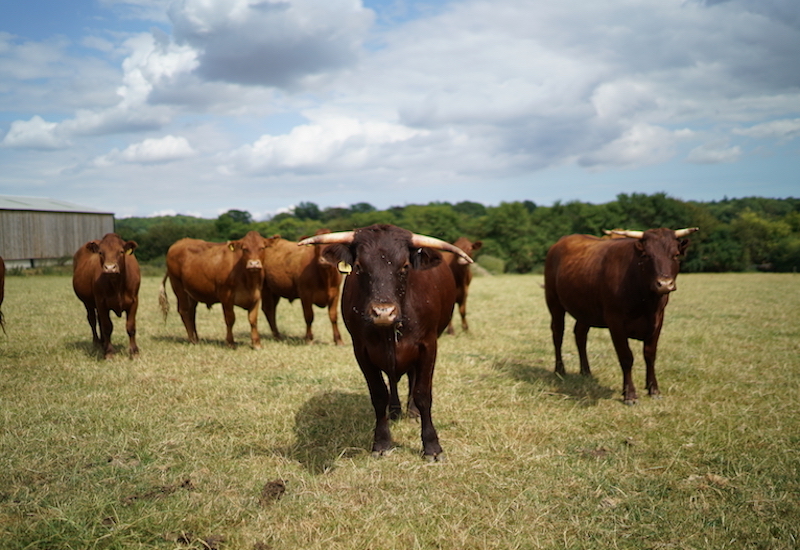 That means organic cows are out on pasture at least 200 days per year; they’re fed a GM-free, minimum 60% grass-fed diet; there are fewer pesticides and no artificial fertilisers on pasture; and routine antibiotic-use is banned. According to the Soil Association: “Organic dairy cows are generally not pushed to their milk producing limits in the same way other cows can be. Average yields in organic milk production are around 20% less than in intensive production.” To put this into context, an intensively milked cow can be expected to give an average of 11,000 litres of milk per year. Compare that with Berkeley Farm, for example, who milk an average of 6000 litres from their cows. 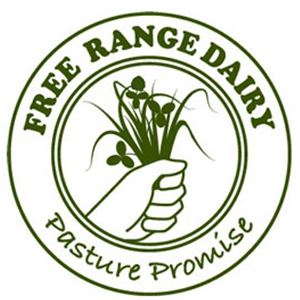 Look out for the Free Range Dairy Pasture Promise label. This is all about the amount of time cows spend outside, rather than what they eat. Free-range milk comes from cows that graze in fields for at least 180 days (around six months) a year, which has a hugely positive impact on their quality of life. The opposite of free-range milk is milk that comes from cows who spend most of their lives indoors. This is becoming increasingly more common with the growth of industrialised, intensive milk production. Organic milk is also free-range, but that’s not to say non-organic milk isn’t free-range. In recent years, there has been a push to create a free-range label to promote small dairy farms and the value of free-range milk to consumers. Check out The Free Range Dairy Network for more info. A heard of Guernsey cows before heading to the milking parlour at Berkeley Farm Dairy. This refers to the breed of the cow. 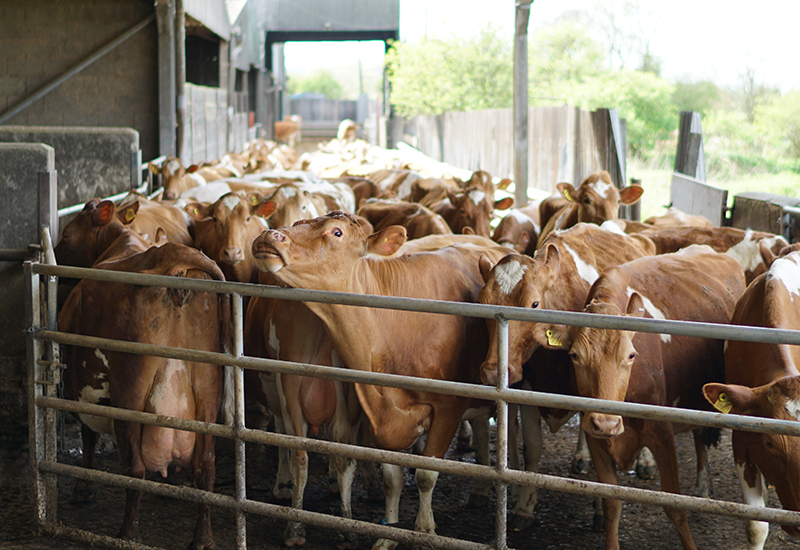 Pedigree herds of Jersey and Guernsey cows are known to produce some of the best milk in the world. Often referred to as Channel Island milk, it’s creamier and yellower in colour than milk from other common breeds, such as Friesian and Holstein. Gold Top, Good Morning and Breakfast Milk come exclusively from pedigree herds of Jersey and Guernsey cows. 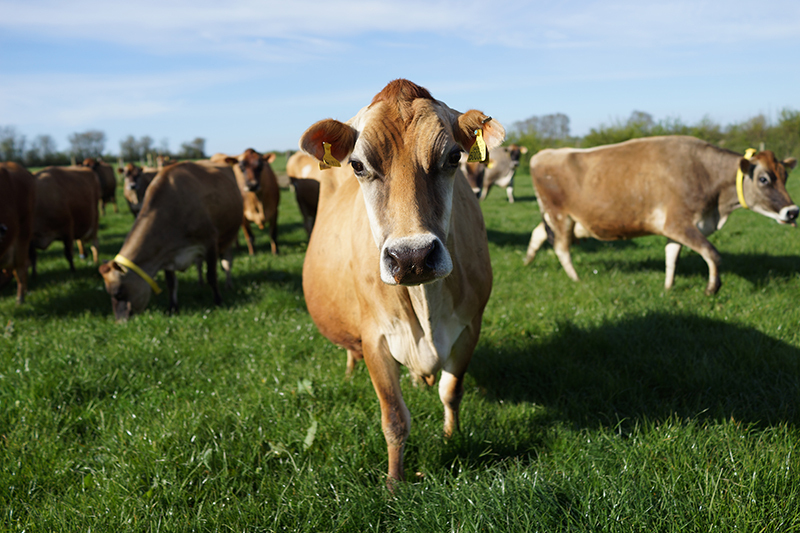 Guernsey cows are also known to produce milk containing high levels of A2 protein which is easier to digest than milk containing higher levels of A1 protein (read more on that over here). Understanding milk is a minefield but if you care about where your milk comes from, there are some basic guidelines you can follow. Try to opt for milk from free-range, organic and grass-fed cows. They contain higher levels of healthy omega-3 fatty acids. These cows are also much less likely to have been exposed to antibiotics and pesticides, and are generally not milked to their limits. Choosing milk from small-scale dairy farmers will ensure that you know exactly where your milk is coming from, as opposed to buying mega-blends of standardised milk. For quality milk from local dairy farmers with high ethical standards, go to farmdrop.com. 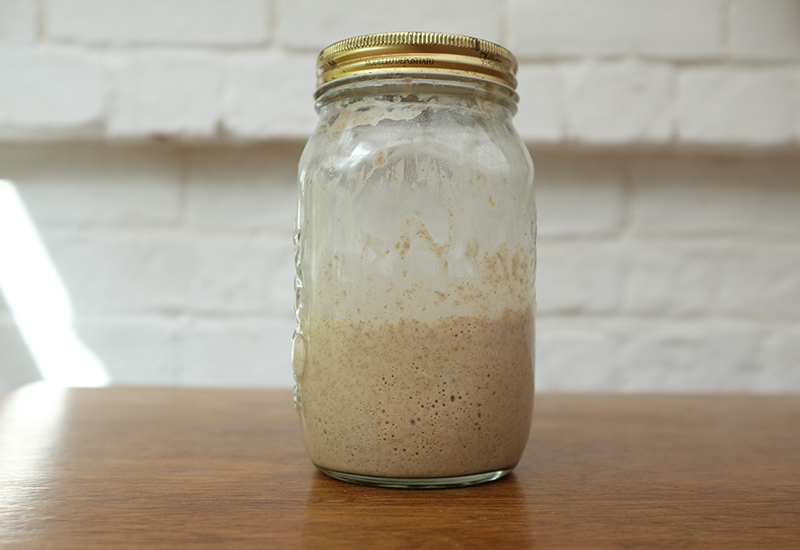 Fancy making dairy products at home? Learn how to make an impressive homemade butter in no time, yoghurt from scratch, paneer cheese and nut milks in my DIY Pantry series. Why is there ash on cheese? What is live yoghurt? Find out the answers to all the questions you were afraid to ask about dairy.